Daventry is a place of roads and crossings: the A5 and A45, Watford Gap and the M45/M1 junction. For Shedman growing up in the Midlands it was somewhere below Coventry, geographically and alphabetically; a place viewed distantly from a rainy car window, but with the curious magic and mystery of those giant transmission masts. On departure Daventry symbolised the wide world, pumping radio signals far and wide. On return, Daventry marked the first outpost of home. Shedman has a long attachment to Daventry, so he's delighted to have been invited to be part of the very first Daventry Arts Festival. Daventry was the original wireless community, globally connected. It's the home of BBC World Service. 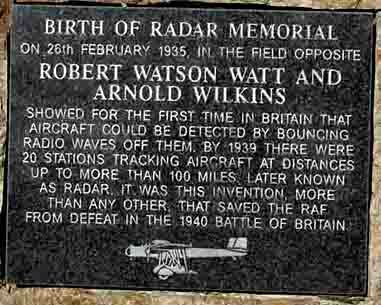 It was also the site of the first successful experiment with Radio Direction Finding (RDF) or, as the Americans called it, Radio Detection and Ranging, now better known as radar. Shedman is looking forward to doing some of his own direction finding during his stay in Daventry, conducting one of his inimitable shedquests and exploring not just Daventry itself but also the surrounding area - Wolfhampcote, Nethercote, Newnham, Braunston, Ashby St. Ledgers, Welton, Weedon, Long Buckby, Muscott, the Catesbys and the Everdons. He's looking forward to exploring lots of Littles, Nethers and Uppers. During his sojourn in Daventry Shedman will be based in his shed at the entrance to New Street Recreation Ground. If you're in the area come on down and and check in at the radio shack. Swap stories with Shedman about your sheds and have a go at writing a poem or a story.